If there were a magic wand solution to the current local housing “crisis” there would be exactly the same number of workers as there are houses available for rent at $250 per month in the town of Crested Butte. Blue collar workers, waitrons, cleaners, writers, artists, clerks, teachers would all make six-figure salaries and would work four hours a day (during the rainy hours) with plenty of time to ride, play, dawdle or do whatever. Actually, aside from the six-figure thing, that sort of sounds like the late 1980s. But there is no magic wand. And Crested Butte is leading the valley over the resort town tipping point, where it is more and more difficult for people who want to put down roots to afford to live here. Free market housing is at a level where most workers are excluded because of the high price point. To be part of the Crested Butte free market you need a good six-figure salary, a sweet savings account or a healthy trust fund. If everyone really is on the same page that a good community contains all sorts of economic diversity, then government assistance is certainly appropriate. At last week’s community meeting on housing, the dire situation of housing here was obvious. There aren’t many places for long-term rent, “affordable” or not. As a result, there could be a noticeable worker shortage during the upcoming busy summer season. If something isn’t done to address both the long and the short term, the community could fall off the cliff into being just another hollow second-home village, with workers living in bedroom communities miles and miles away. No one thinks that is an ideal scenario. At the same time, the Crested Butte town council threw gallons of mud against the affordable housing wall at their meeting Monday night. Camping on public space, shipping containers in Big Mine Park, micro-lots by the soccer field, more enforcement, more incentives, threatening letters from lawyers, re-engineering infrastructure for blocks 79 and 80, knocking on the door of every accessory dwelling. Some of that mud will stick while some will rightfully slide to the ground. The council wants to stay ahead of the situation and there was talk that some soon to be homeless locals plan to protest the situation with a tent village in Town Park. While it isn’t easy for someone in the leaky boat to accept, there needs to be some chill perspective. The council doesn’t need to over-panic and protestors should help throw mud against the wall with ideas instead of at the towns that are actually addressing the problem. It’s not like Crested Butte, Mt. 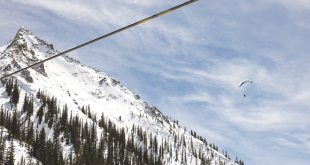 Crested Butte and Gunnison County have done nothing. In fact, we have been ahead of the game in many ways. It was estimated that with the current regulated dwellings in Crested Butte, some 350 to 380 people live in deed-restricted housing in town. That’s close to 25 percent of the population. 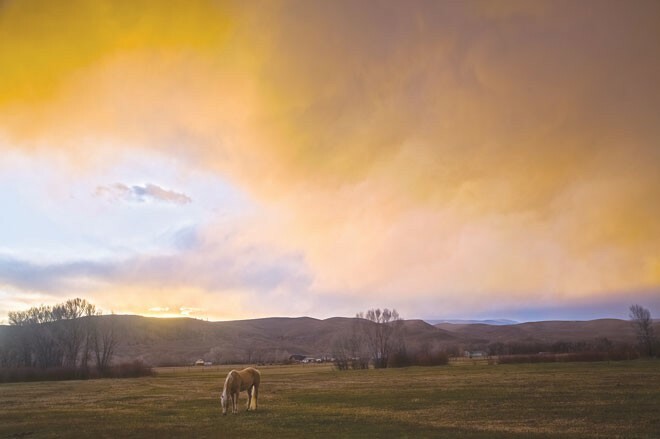 When you include full-time residents living in free-market houses, Crested Butte remains more real and vibrant than many of its counterparts. Keeping and expanding on that is a worthy goal. Mt. Crested Butte has some land ready right now for deed-restricted units but no money to build them. Perhaps there is a public-private partnership idea ready to blossom there. Could some businesses with employee shortages due to the housing crunch pool their money to build multi-family housing? The county has imposed linkage fees on new development to fund workforce housing and they are spending the money on projects like Anthracite Place. Having residents living near their jobs is the right ideal. While a rich community should reward commitment, sacrifice and planning, no one deserves a freebie in the house of their choice on the street of their choosing. In the medium term, two major housing thrusts are on the horizon in the north end of the valley. The Anthracite Place 30-unit rental complex will start construction this month and will begin taking applications next January, with the hope of a 2016 summer occupancy. Infrastructure that will allow deed-restricted housing to be built on two blocks on the northeast side of town will be put in later this summer. A surge in “workforce” housing is coming. Local waitress Anne Moore raised the “panic button” issue at last week’s meeting when she voiced the concern that people coming to visit this July and August will receive a poor experience because there won’t be enough workers. There are more “Help Wanted” signs in the valley than ideas of where not to build a new skate park. If people stop coming here because of poor experiences, the workforce housing issue won’t be an issue for long. One of the most interesting comments came at the end of the housing meeting and got some chuckles. But the speaker was serious. 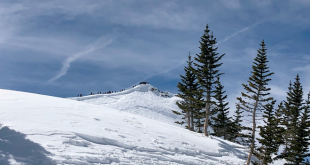 It basically came down to the question of why the “community” continues to prime the pump to get more visitors here in the summer season when it appears we won’t be able to properly service them with a quality Crested Butte experience. Are we cutting our wrists for the short-term boost? How do we manage that teeter-totter balance of making sure there are enough people to work the tourism experience we advertise? The old management saying of “under-promise and over-deliver” is a good one, but the fear expressed last week is that we will do the opposite. Honestly, that works for no one in the long term. 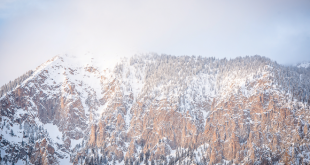 Overall, my guess is the local politicians will review the upcoming short-term vacation rental report coming from the Colorado Association of Ski Towns and take some action. I don’t foresee a ban on vacation rentals but I get a sense even those riding the VRBO train would be amenable to higher fees that would help fund “affordable” housing projects. The free-market price of real estate is out of balance with the free-market wages. Eliminating short-term vacation rentals or implementing a $15 per hour minimum wage won’t allow the house cleaner to buy a place in town. Even those with “professional” jobs are feeling the impact of the housing crunch. It’s not just minimum-wage seasonal employees having a hard time. Having workers set a realistic view on a definition of “community” that includes more than the ten-square blocks of Crested Butte as long as public transportation keeps pace is also part of an effective equation. And if you want to get really serious about it, the most affordable and probably some of the most dynamic neighborhoods in town are in the M-districts. M stands not for Magic Wand but for Mobile Homes. Are there appropriate locations at the north end of the valley for more Ms? That might be worth slinging more mud against the wall. There is no magic wand that will make it perfect anytime soon. But sincere discussion and honest effort are all taking place and that will make a real difference.